The Israel Patent Office has announces an experimental service called “PCT Direct”. PCT Direct is intended to make the process more efficient and to increase the value of the International Search Report (ISR) and International Preliminary Examination Report (IPER) that the Israel Patent Office produces as a Searching and Examining Authority of the PCT (Patent Convention Treaty). The Applicant will be able to relate to all issues in the Notice Prior to Examination. The response is, however, not part of the PCT request. It seems that the idea is to file a PCT request as a response to a Notice Prior to Examination, submitting a marked up and clean copy, details of other prior art known to examiner and details of first publication. If the art cited by the Applicant is of value, half the search fees will be refunded. The PCT response and interaction will be considered as a response to the prosecution of the priority document if not yet allowed. Apparently the Israel Patent Office is only the second authority, after the EPO, to offer this exciting new service. I am confused as to the point and purpose of this development. 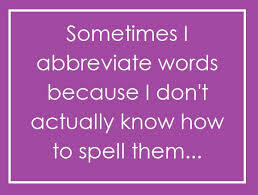 I have an aversion to abbreviations. PCT, IPER, ISEA, ISR – at least the Talmudists had the excuse that scribes wrote by hand and parchment was expensive. Nevertheless, WIPO (World Intellectual Property Organization) uses them, so I suppose we must conform. The EPO’s description of the PCT Direct service may be found here. More substantively, The PCT application should be filed within 12 months of priority. Israel Applications publish automatically at 18 months, so one wonders what first publication is being considered here. I think that this initiative is designed for applications that are made special and examined immediately, either due to them being green applications that are environmentally friendly, or due to applicant petitioning based on age, suspected infringement and the like. It is possible that this has ramifications for a PCT application claiming priority from an earlier PCT application. It also seems that the applicant need not actively file PCT responses in the parent file but can rely on the system doing so automatically. Not too long ago, the search report of the PCT was considered as something of little value and was often ignored by examiners who examined to grant patents. Then came the Patent Prosecution Highway, and then the Superhighway. I think this further development is designed to demonstrate that the Israel Search and Examining Authority, is willing to grant patents based on their PCT work, as is, apparently, the EPO and to create additional trust in the system. Hopefully this will translate into less duplication and a faster, more efficient, high quality service. 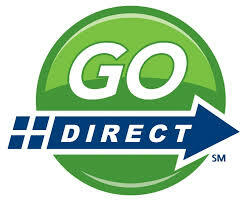 Readers who can briefly summarize what PCT Direct is all are about are cordially invited to do so. When did you ever get a first action within one year in an Israeli application?